With their grace, courage, and strength, these African-Americans have done us the honor of creating transcendent legacies for all to see. Manifesting their individual stories as guiding lights, they have offered the camera internal radiance to share with the world. The Greenville Museum of Art is opening Perceptions + Recognitions on Friday 3 February 2017 with the celebratory collection of 26 extraordinary contemporary African – Americans. 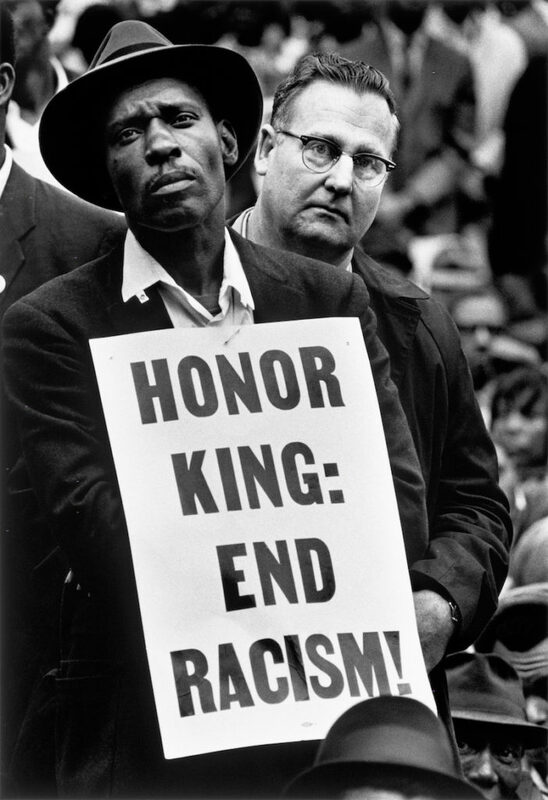 Referencing the American cultural history of race, the Museum is also showing 20 photographs taken in Memphis TN and Atlanta GA in 1968 at the death and funeral of Martin Luther King Jr. Together, these two bodies of work frame both our history and potential. Perceptions + Recognitions offers individuals, families, and organizations a way to experience their neighbors, whether familiar or unknown. The title reflects the fact that too frequently we hold perceptions about others that are disconnected from their truths and therefore inaccurate. Art has always afforded us the opportunity to share seminal emotions with strangers, to realize a connection, to know that our human experience may not be unique although our circumstances may be unrecognizable.